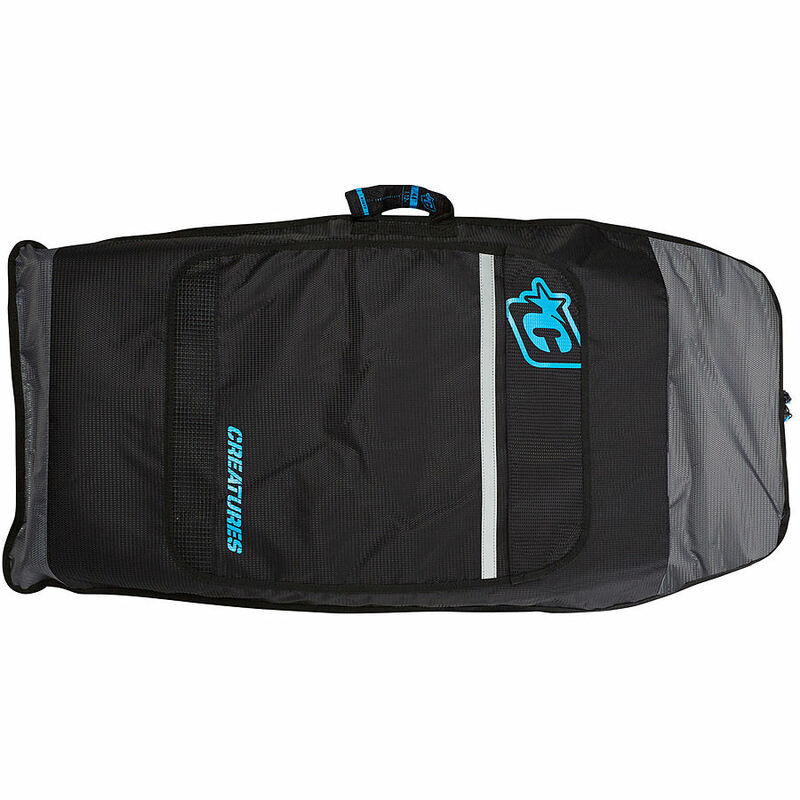 3.5	stars -	"Review for Creatures of Leisure Bodyboard Day Use Cover Charcoal Cyan" Mark Taylor This Creatures of Leisure Bodyboard Day Use Cover Charcoal Cyan is the best Covers Body I have tried. - Large fin / accessory pockets - Backpack straps - Backpack straps and side carry handle - Reflective "night light" tape - Mesh drainage vents . Dimensions - Length: 46" / 1168 mm - Max Width: 24. 9" / 632 mm .